CLEVELAND – The Cleveland Foundation board of directors today announced a grant of $115,000 to support the 41st Cleveland International Film Festival (CIFF), scheduled March 29 – April 9, 2017. Since 1981, the foundation has contributed nearly $2.3 million for this iconic cultural event in Cleveland. The foundation will serve as the sponsor of CIFF’s Global Health Competition, which includes films that delve into human health (both mental and physical) as well as environmental health. The competition introduces audience members to an array of health-related issues and explores the true definition of health as it relates to individuals and the planet. Based on audience vote, the winner of this competition will be announced by the Cleveland Foundation at the Closing Night Reception and receive a $7,500 cash prize. 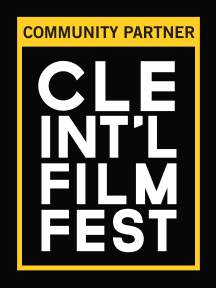 “The CIFF is deeply honored by the Cleveland Foundation’s funding of our efforts. Although our programming is global, everything we do is for — and because of — our amazing community. Generous support from the Cleveland Foundation provides us with the footing we need to do our best possible work,” said Marcie Goodman, CIFF Executive Director. The foundation’s grant also supports the FilmSlam Program. Now entering its 25th year, FilmSlam is CIFF’s media literacy program and mini-festival of films for students. FilmSlam aims to educate students about evaluating and critiquing the messages they perceive while viewing films. More than 8,500 Northeast Ohio students have the opportunity to see new films by some of the world’s most innovative filmmakers. Also included in the foundation’s grant to CIFF is the expansion of the Perspectives Virtual Reality Exhibition. The exhibition, which debuted at last year’s festival, is an immersive storytelling experience. Located in Tower City Center Level M2 (near the top of the Grand Staircase), Perspectives is free and open to the public, ages 13+. Curated interactive media and virtual reality will be available for viewing on a first-come, first-served basis. This year, the foundation’s Anisfield-Wolf Book Awards will also build on its history of support for the film festival, serving as community partner for the March 30 and April 1 screenings of “The Revival: Women and the Word,” a documentary on the travels of seven musicians and poets building community among queer women of color. This will be the fourth year that the Anisfield-Wolf Book Awards, which recognize books that contribute to our understanding of racism and human diversity, has sponsored a documentary at the film festival. Previous sponsorships include “Good Luck Soup” in 2016, “By Blood” in 2015, and “Alice Walker” in 2014. As part of its centennial celebration in 2014, the foundation provided a free day at the Cleveland International Film Festival. The event drew the biggest Monday audience in the Festival’s history with nearly 8,000 attendees. About the Cleveland Foundation: Established in 1914, the Cleveland Foundation is the world’s first community foundation and one of the largest today, with assets of $2.1 billion and 2015 grants of $95 million. Through the generosity of donors, the foundation improves the lives of residents of Cuyahoga, Lake and Geauga counties by building community endowment, addressing needs through grantmaking, and providing leadership on vital issues. The foundation tackles the community’s priority areas – education and youth development, neighborhoods, health and human services, arts and culture, economic development and purposeful aging – and responds to the community’s needs. About the Cleveland International Film Festival: The 41st Cleveland International Film Festival, presented by Dollar Bank, will take place March 29 – April 9 at Tower City Cinemas and select neighborhood screening locations. Full program information on the 202 feature films and 216 short films screening at CIFF41 can be found at clevelandfilm.org. Program Guides will be available at all Dollar Bank branches, and throughout the area, the week of March 6. Tickets will go on sale to CIFF members on Friday, March 10 and to the general public on Friday, March 17.